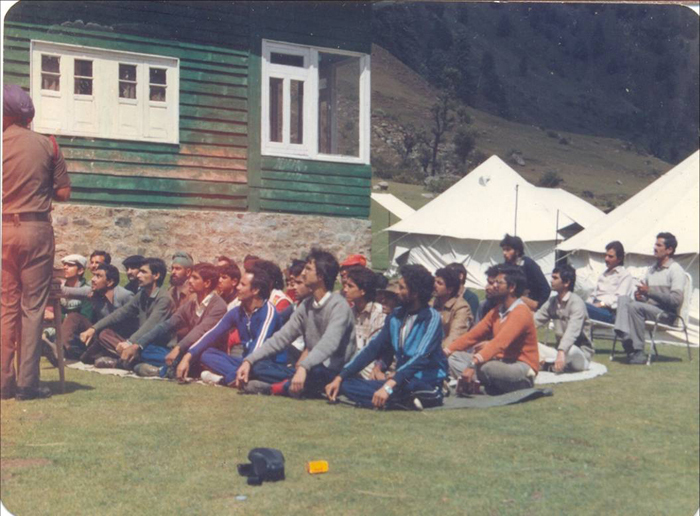 The Institute was established in 1983 at Aru, near Pahalgam,J&K with a view to provide numerous adventurous activities at one place in close proximity of each other. Aru, the most picturesque town and sought after tourist destination was chosen, as it fulfilled most of the qualitative require­ments. 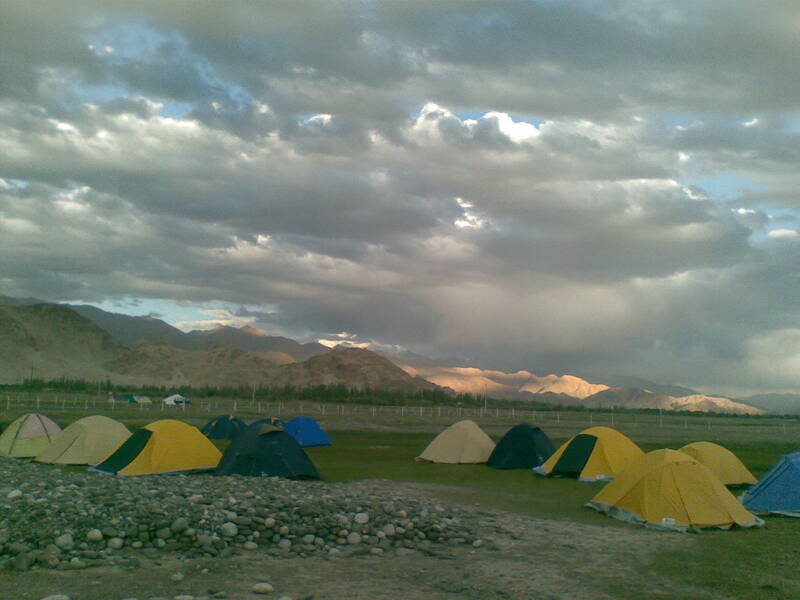 It boasts of being a trekker's paradise, provides facilities for rock craft, ice craft, stream crossing, has a glacier in close vicinity and slopes for skiing in winters. The Institute is administered through an Executive Council, the members of which are drawn from the state as well as the centre. At present Jt. Secretary (G/Air) of the Ministry of Defence and the Commisssioner/Secretary Tourism, J&K are looking after the affairs of the Institute. The Hon'ble De- fence Minister and the Hon'ble Chief Minister of the J&K State are the President and Vice President of the Institute respectively. The Institute is headed by an officer from the Armed forces, of the rank of Colonel or equivalent. The Instructors (JCOs/NCOs) are drawn from the three services. They are on deputation for three years. Clerical and class 'D' staff has been recruited locally, and are given remuneration as per Govt, of J&K pay scales. COMMENCED TRAINING FROM Jun 1985. 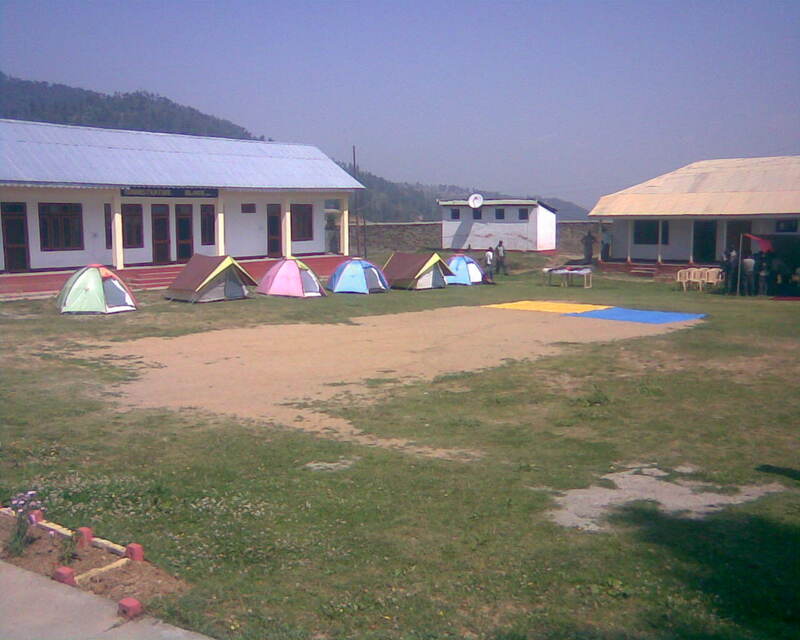 The Institute came into existence in 1983 on the lines of HMI, Darjeeling and NIM, Uttarkashi. 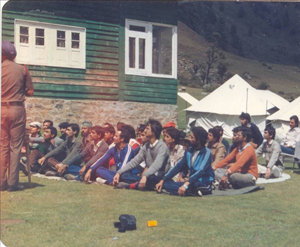 The onus of selecting the site fell upon Late Brig Gyan Singh, an "Everester". .
JIM&WS made a humble beginning by conducting the first Basic mountaineering Course on 24 June 85 with seventeen students. From there on, it has never looked over the shoulders. 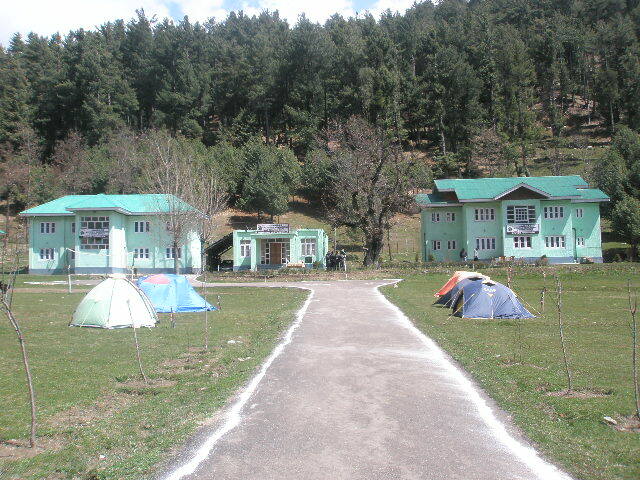 Owing to disturbed conditions in the valley in late 80'sand reluctance on the part of the students,to come to Aru the Institute was shifted across Banihal to Tringla, Batote in Aug 90. 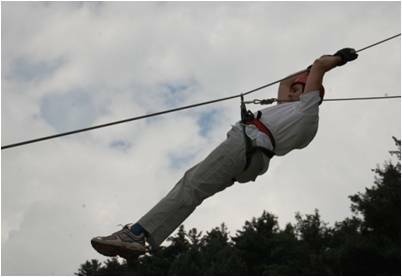 Despite odds, the Institute continued to train adventure lovers. Later, with the peace rising back in the valley and rise in tourist activities, it was decided to move back the Institute in the valley in October 2003. On its relocation at Pahalgam, JIM&WS was provided with much needed impetus and support by the Pahalgam Development Authority and Department of Tourism. 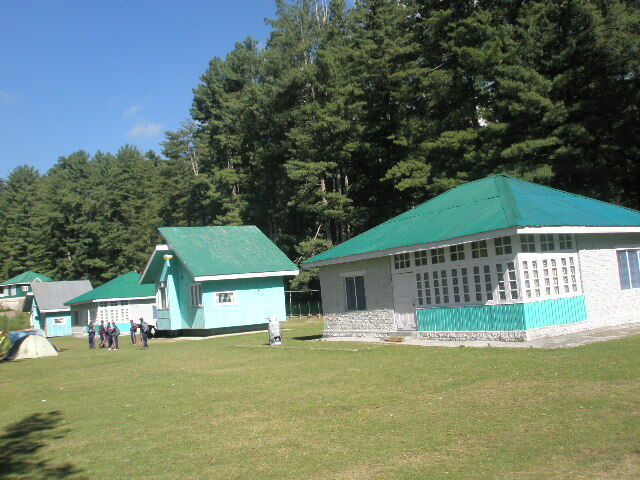 The Institute soon started humming with adventure activities again and within a year of moving to Pahalgam, it became a popular destination in the state. Owing to active support received from various agencies. To enhance the appeal at both National and International forums the Institute alongwith Department of Tourism, Govt, of J&K, embarked on fresh initiatives. The Institute undertook promotional visits across the country, participated in almost all travel trade fairs and went publicizing JIM&WS in all states in collaborations with private travel and tour operators. The Deptt. of Tourism, Govt, of J&K, ensured that the Institute was well represented at the World Tourism Mart, London, UK, International Tourism Bureau Berlin, Germany and International Trade Fair Colombo, Sri Lanka. As result of the fresh initiatives, the Institute is now attracting adventure lovers from distant places, such as Shillong in the East, Bangalore in the South and Rajkot in the West. 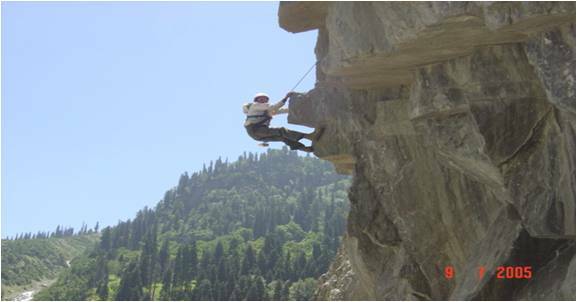 The Institute has been actively promoting adventure tourism and has conducted special Adventure Courses for students from the travel fraternity. Encouraging response has been received from the IITTM's Bubhneswar and Gwalior, CHTM Jammu University, Tourism Management Wings of Udaipur and Jodhpur Universities. 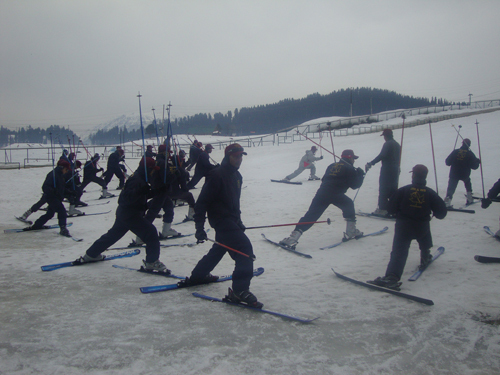 In addition to the existing adventure, Basic and Advance Mountaineering Courses and Basic, Intermediate, Advance skiing course, the Institute has also started conducting adhoc and special Adventure courses, river rafting, paragliding have been included in the curriculum of adventure sports. These fund laden courses are being conducted under the vigilant guidance of highly skilled and professional Instructors. 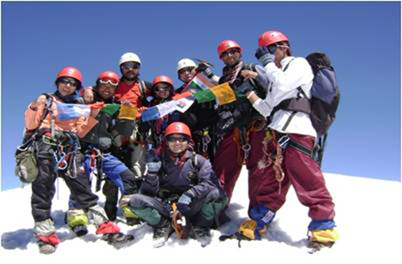 The Institute also provides technical expertise to different organizations interested in mountaineering expeditions. 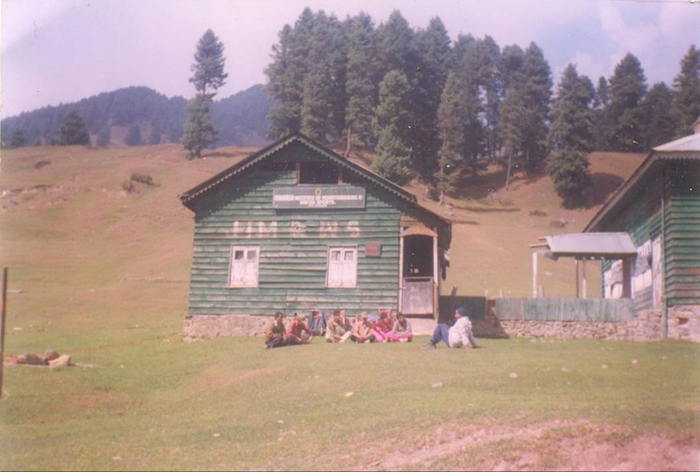 JIM&WS undertook several expeditions with JKAP, North East Adventure Foundation of Assam and were successful in scaling Mt NUN (23420ft) in Aug 07 and Mt Kolahoi in Aug 09 under the dynamic leadership of Principal JIM&WS. 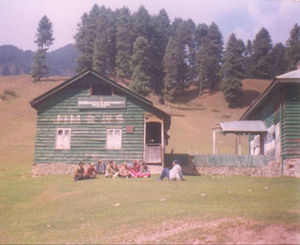 Due to overwhelming response from different agencies and adventurers and seeing the enormous growth and progress made by JIM&WS the Institute opened additional sub centers at Bhaderwah in Jun 07, Sub Centre Sanasar/Kud in Nov 2007 and a new sub centre at Leh is likely to come up by 2014. JIM&WS Since inception has conducted different courses and has trained students. The Institute today is the hub of adventure activities in the state. With encouragement, assistance and active support of Deptt of Tourism (J&K) and Ministry of Defence, the thought that was born twenty seven years ago has today blossomed into a paragon of excellence. A rich tribute to its founders.